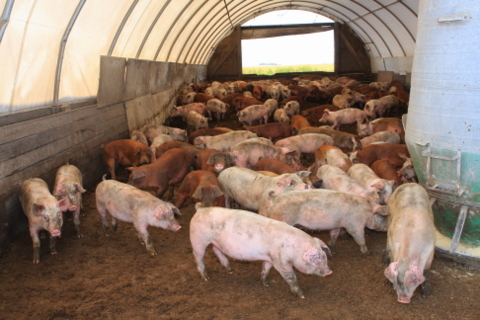 With 40 years of hog production under his belt, Iowa pork producer Dave Struthers has seen it all, from pasture production to confinement barns to hoop barns. He’s also willing to help set the record straight about modern pork production and encourages other farmers to do the same. Be a voice of reason. Who knows more about the realities of modern agriculture than the farmers who live it every day? 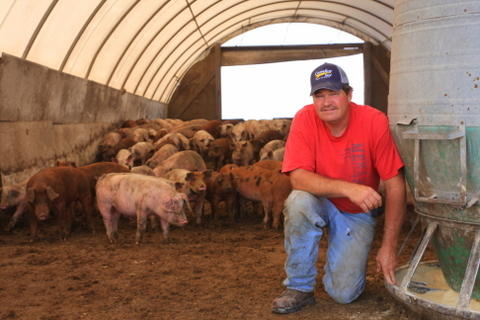 “I tell people there are pros and cons of every swine production system,” said Struthers, who runs a farrow-to-finish operation along with a row-crop operation with his family. “I try to offer a practical point of view and provide a voice of reason.” Struthers takes a practical approach when non-farm audiences raise concerns about whether pigs are happy in confinement barns. “What tells me a pig is happy is when it’s healthy and growing,” he said. Explain what motivates you. Farming is a multi-generation tradition for the Struthers family. “We’re in this for the long haul and care about our animals,” said Struthers, who has raised hogs since he was 9 years old. Use analogies. Linking farm-specific information to examples that non-farm audiences can relate to is key. Consider antibiotic use in livestock. “I ask people, ‘If your child gets sick, are you going to cross your fingers and hope she gets better? No. You’re going to give her the medicine she needs.’ If antibiotics are required to help a sick pig, it would be contrary to animal well-being not to treat that animal.” Struthers also tells his audiences that all meat at the grocery store is antibiotic-free, since there are mandatory withdrawal times, plus packers conduct tissue tests to make sure the meat is antibiotic-free. Be realistic. Having all the answers isn’t a prerequisite for sharing ag’s story. “If you can’t answer a question, be honest,” Struthers said. “Also, refer the person to Iowa State University, the Iowa Department of Agriculture or other resource that can provide the answer.” In addition, understand that everyone may not agree with your point of view about modern pork production practices, but that’s okay. “It’s progress when these people say, ‘You know, I can see why you’re doing what you’re doing,’” Struthers said. Focus on continuous improvement. Struthers is Pork Quality Assurance (PQA) Plus certified, plus his farm has been part of a site assessment to ensure that best-management practices are being followed. Struthers also works closely with his local veterinarian. “I’m always trying to learn more and improve our farming operation,” he said. This originally appeared in Farm News, Oct. 2016. Want to discover more stories and pictures that showcase the unique character of small-town and rural Iowa? Check out my top-selling “Calhoun County” book from Arcadia Publishing, and order your signed copy today.